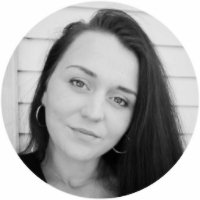 My children were blessed with beautiful, long, thick eyelashes--and unfortunately, those genes didn't come from me. My husband was the one who passed on the lovely lashes to our children. Mine, on the other hand, are short, sparse, and "barely there." 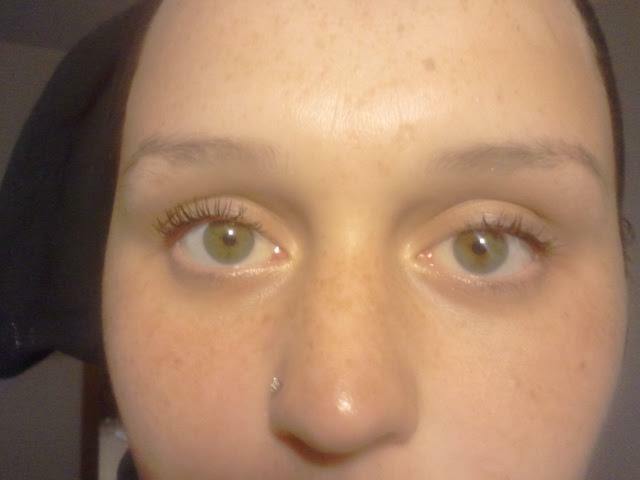 It literally takes me about 15 minutes to get my eyelashes looking the way that I want them to. Yes, I spend 15 minutes on my eyelashes alone. As you can see...er...well, I guess you really can't see my lashes. Fortunately for me, I was able to try the Bella and Bear "Eye & Mighty" Eyelash Curler to see if it really is "the best" eyelash curler, as stated on their Amazon page. 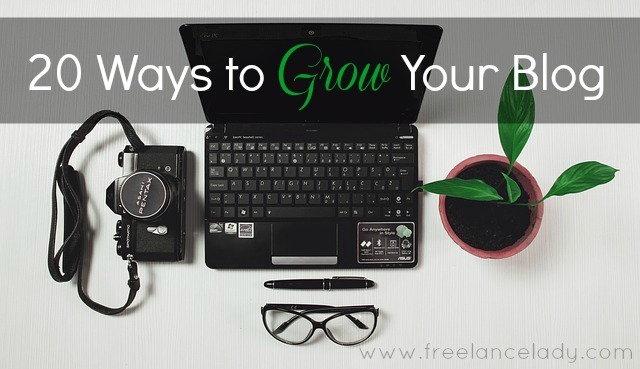 *Product and/or service provided for review without cost. 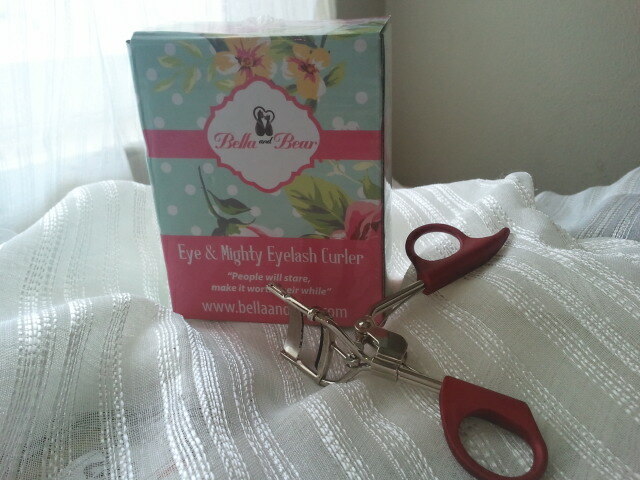 My first impression of the Bella and Bear Eyelash Curler was that the box it came in was very feminine and cute. It featured floral designs, polka-dots, and pretty pastel colors. It was pleasing to the eye, and I was excited to reveal its contents. Inside was the eyelash curler, and as soon as I removed it from the box, I could tell that it was "heavy-duty." 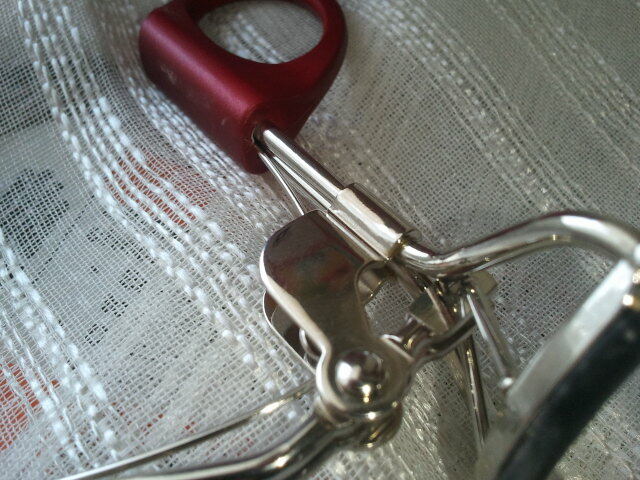 This eyelash curler was clearly made with durable materials. You can tell, not only by the weight, but also by the way the curler is made. It looks like an ordinary eyelash curler, but you can feel the difference. The way it felt in my hands was comfortable, and the grips are "non-slip," so you needn't worry about accidentally pinching yourself. 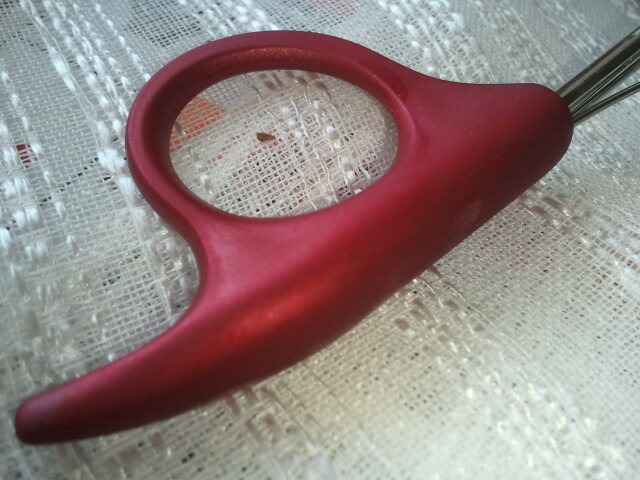 The grips were comfortable, and of a very pretty shimmery crimson. The way the eyelash curler functioned was unlike the eyelash curlers I've owned previously. The hold was tight and seemed to have some built-in "extras" that made it stronger. I'm not sure exactly how to explain it, so I took a photograph so you can see for yourself. There seems to be a lot going on there, and the way it is set up is 10x better than the current eyelash curler that I own. In fact, the eyelash curler that I currently own is plastic. It's safe to say that the Bella and Bear Eye and Mighty Eyelash Curler blows mine out of the water in terms of manufacturing. The real test, however, was to see how well the curler actually worked. Would it be capable of making my sparse lashes look thick and beautiful? Would my plastic eyelash curler pale in comparison? 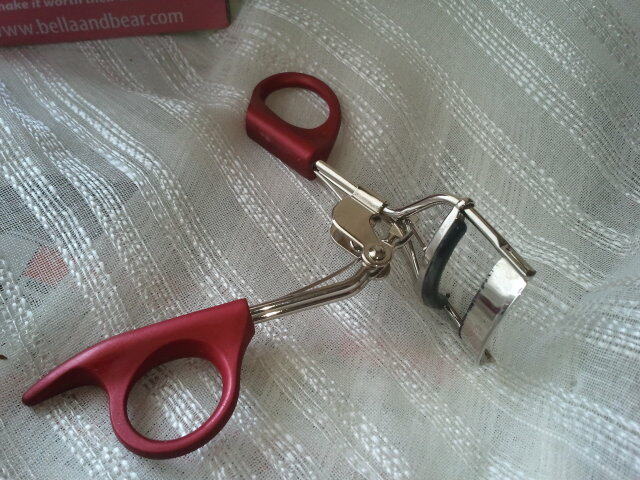 Let's see how the Bella and Bear Eyelash Curler works. 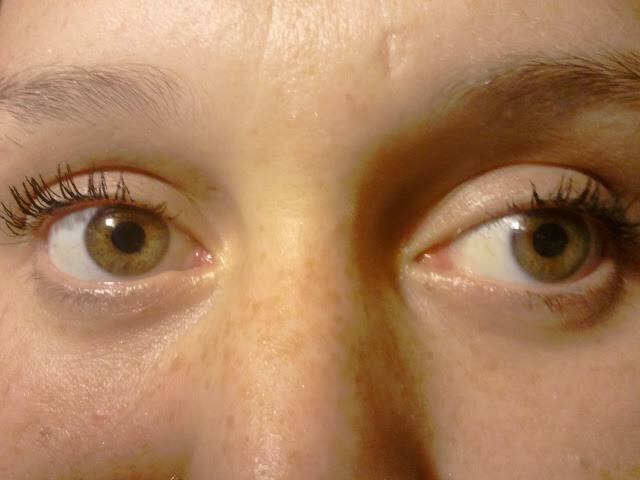 In the above photograph, you'll see the effects of the Bella and Bear Eyelash Curler on the left, and the effects of just regular mascara on the right. As you can see, the Bella and Bear Eyelash Curler makes it to where all of my eyelashes are curled and even spread out. The "curl" began at the base of the lashes, which is very difficult to achieve with a standard eyelash curler (without pinching yourself, of course). 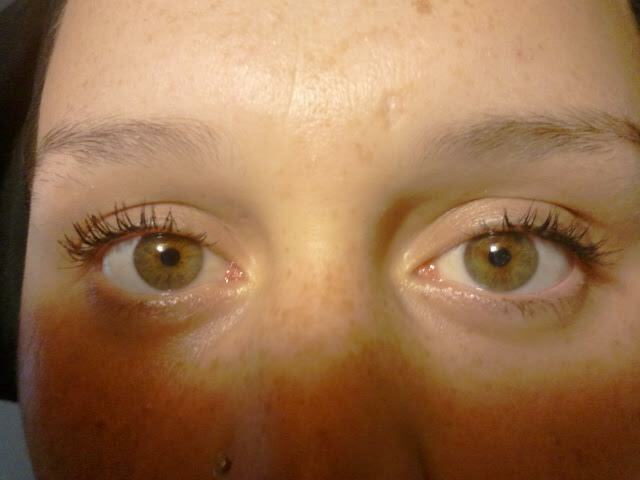 Needless to say, the Bella and Bear Eyelash Curler beats simply using mascara. But how would it hold up against my plastic eyelash curler? Quite well, actually. Again, on the left, you will see the results of the Bella and Bear Eyelash Curler. On the right, you see the results of my plastic eyelash curler. The Bella and Bear Eyelash Curler didn't cause my eyelashes to stick together at the base like the plastic eyelash curler did. Also, it spread my eyelashes out, instead of simply curling them close to the center and the edges. I'm incredibly satisfied with the Bella and Bear Eyelash Curler and I think that it's definitely worth the price. You'll go through several of the cheap, plastic eyelash curlers every couple of months, but based on the way the Bella and Bear Eyelash Curler is made, I'd say it'll be a part of your makeup routine for a long time. I've teamed up with Bella and Bear to give away an Eye & Mighty Eyelash Curler to one lucky winner! Enter for your chance to win an eyelash curler below! By entering this giveaway, you agree to be bound by the Terms and Conditions. Please view the Terms and Conditions before entering. 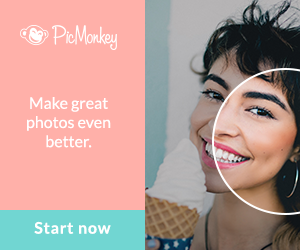 Only residents of the United States, ages 18+ are eligible to enter. Good review. The plastic ones do cost you more money in the long run and don't work as well as the metal ones. I like that it it spreads out the eyelashes as it curls them. Wow, I like how it really delivered a nice curl to all your lashes. They look good. 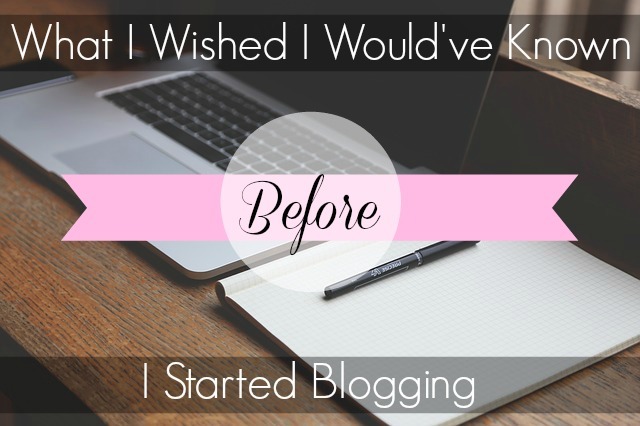 Nice results! I really like the grips...it's so frustrating fumbling with the cheap plastic ones. I love the way it curls your lashes. They look great!! I like the way that it spreads the eyelashes out when it curls. Thanks! i like that it easily allows to curl close to the base of your eyelid.